If you haven't heard of Saturday Salon, then now would the best time to check it out. Sherry over at Semicolon hosts a Saturday Review of Books. She invites everyone who has written a book review during the week to post a link to their reviews. It is a great resource for learning about books to read and what readers think about them. Today over at Semicolon, Sherry is doing something special "this week only, SATURDAY, January 3rd, will be a special edition of the Saturday Review of Books especially for booklists. 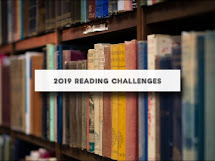 You can link to a list of your favorite books read in 2008, a list of all the books you read in 2008, a list of the books you plan to read in 2009, or any other end of the year or beginning of the year list of books." Head on over to Semicolon and see what everyone has been reading or going to read. You just may discover some interesting books to add to your To Be Read (TBR) list. Some new, new to you or old classics you may had forgotten about.